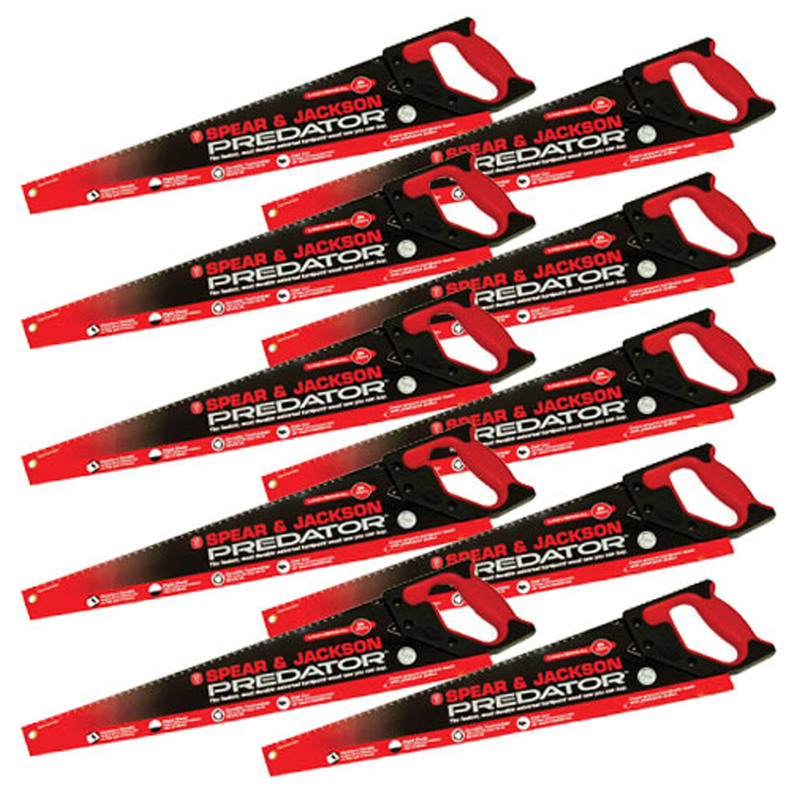 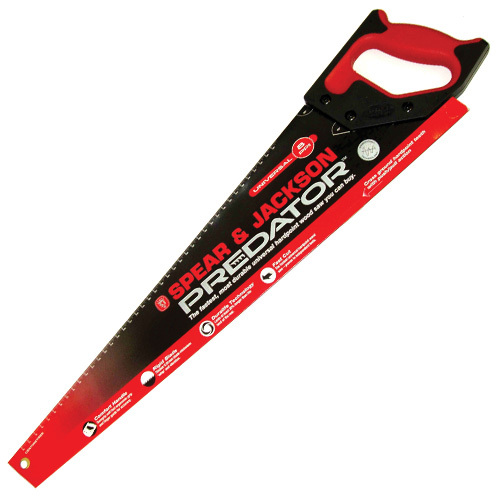 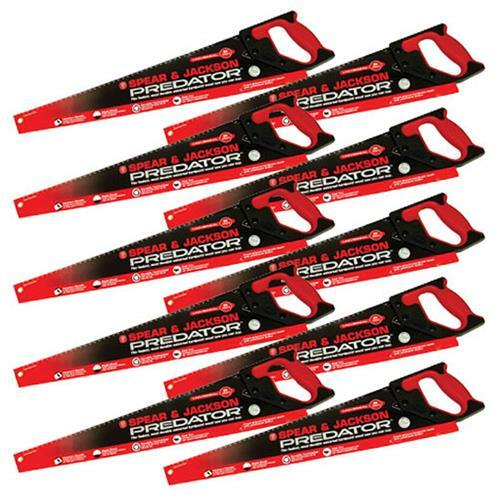 PREDATOR Universal 550mm/22" general purpose handsaw for cutting along and across the grain, hardened and tempered carbon steel blade. 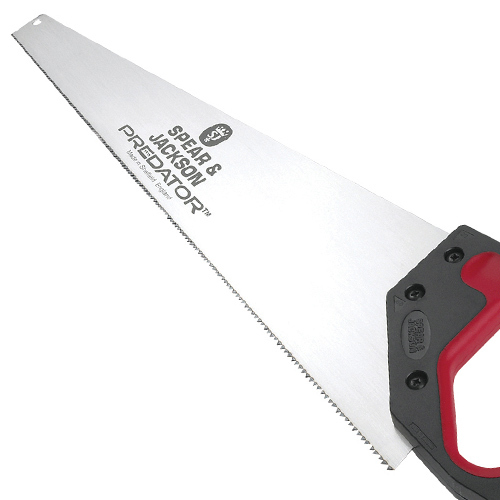 Fast cut, rapid, clean cutting action, 8 TPI hardpoint teeth, the rigid blade minimises whip and vibration. 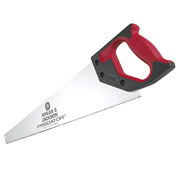 Ideal for timber, hard & softwood, chipboard & MDF. 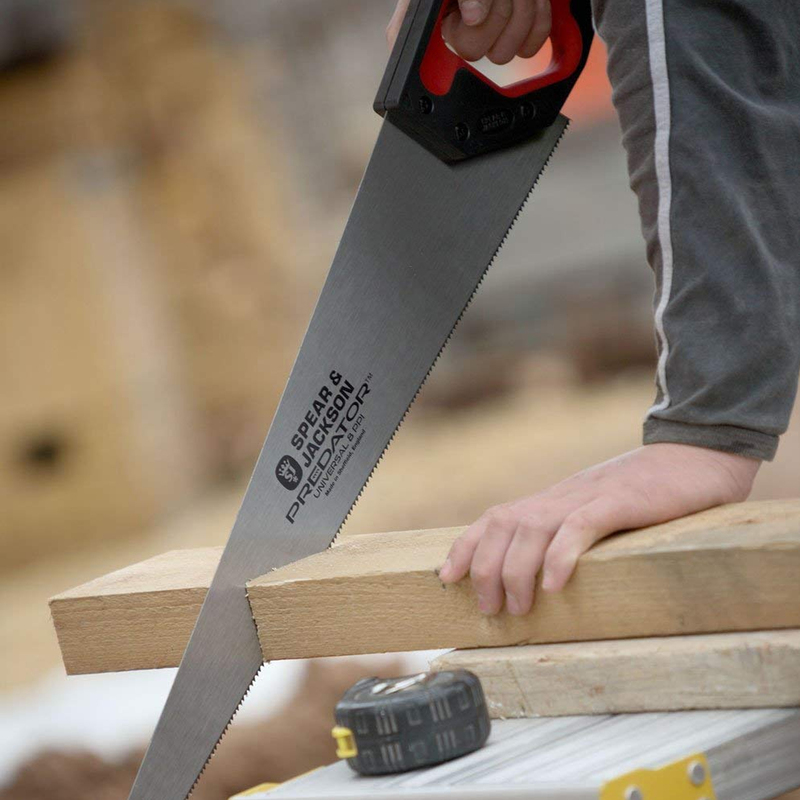 Comfortable High Impact Polystyrene handle with soft-feel non-slip grip and finger guide for improved accuracy, incorporating a useful 45°/90° angle guide. 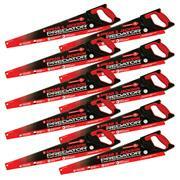 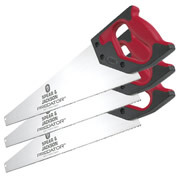 "Great value for money a good all round saw brilliant for on site general use and roofing."